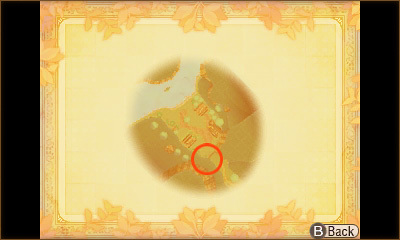 If you're ever not sure what to do next, you can always tap the "Hint" icon on the Touch Screen – and once you know where you're going, the story will typically progress via cutscenes that play out using in-engine 3D animations when you get there, giving the feel of a true classic RPG from the genre's heyday. Turn-based combat occurs on a small tactical grid with obstacles, allowing for strategic positioning and clever use of area-of-effect abilities to make short work of your foes. And if there are a few too many random battles for your liking, you can always turn the encounter rate down via the game's options menu. 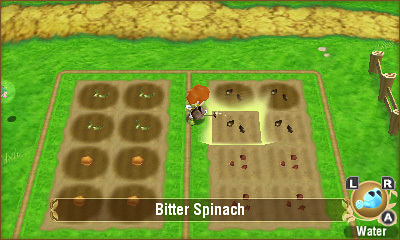 Till the ground, plant seeds, water them and ultimately harvest dozens upon dozens of unique crops in five very different farms scattered throughout Galariland. 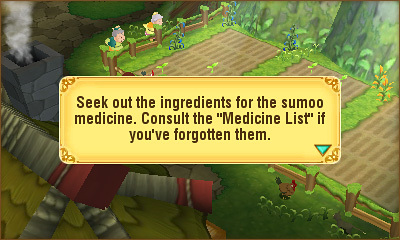 All growth occurs in real time as you progress through your adventure, with popup messages displaying on the upper screen to advise you when it's time to tend your produce – which is a cinch to do, since you can fast-travel across Galariland at will using an endless supply of fairydust! Animals can also be adopted and kept in barns on your farms, including "cuckotti" (chickens), "sumoo" (cows) and "pacapaca" (alpacas). 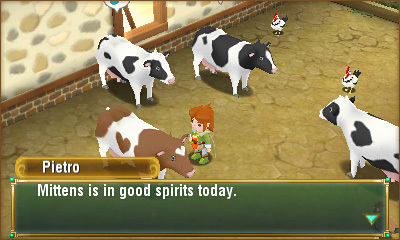 Keep them well-fed, talk to them and give them treats every now and again, and they'll return the favor by supplying you with eggs, milk or fur to aid you in your quest. 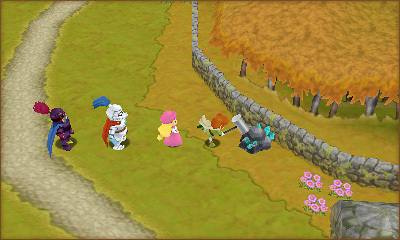 Many of Galariland's fields have been corrupted by dark forces that have spread all the way into the very depths of the earth. 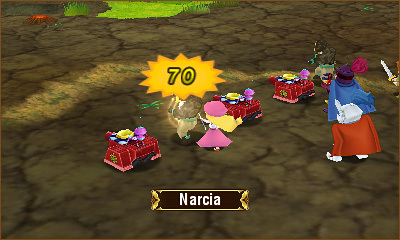 So naturally, the best way to remedy the situation is to shrink down to the size of ants via fairy magic and jump right into the ground, seeking out and destroying the black beasts within to restore the natural balance of life! With over a dozen such fields to explore in the game proper, and dozens more available as optional challenges, players looking to do some dungeon-crawling have plenty of pint-sized options at their disposal. 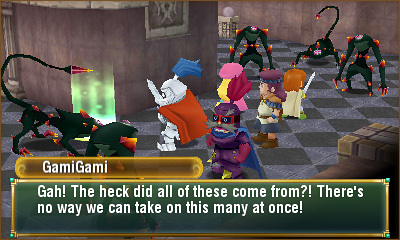 NPCs throughout PopoloCrois and Galariland alike have nearly a hundred side-quests to offer among them – and it's not all just fetch quests and monster hunts! Chicken rescues, robot emotion coaching, creative item synthesis, shady spy missions and more await those who take the time to interact with the good people around them. 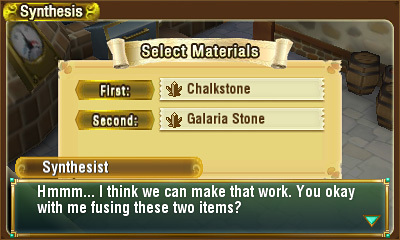 Once you've acquired a hammer, you can quarry precious gems and minerals from certain rocks throughout Galariland, which can then be sold for profit or used in item synthesis. 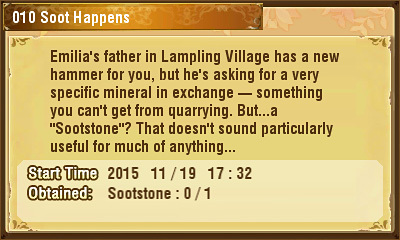 Spent rocks will refresh themselves with new treasures over time, so travelers with a good memory can go back for more again and again! 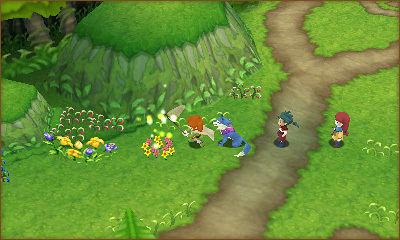 As with quarrying, you need only acquire a bug-catching net to snag some rare specimens from certain flower patches throughout Galariland. These insects can then be relinquished to a strange old man who hangs around your farm specifically for its high population of uncommon bugs. The more bugs you give him, the more money and prizes you'll receive! 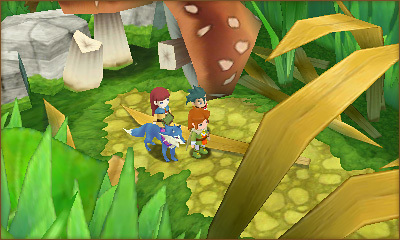 Once a bit of time has passed, too, more critters will come to flit about the flower patches you've already emptied, and the cycle can begin once again. In each corner of the kingdom, there is at least one girl who's been specially blessed by Lady Galariel, the guardian deity of Galariland. 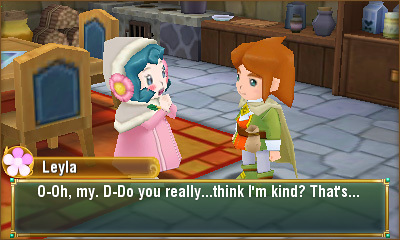 If Prince Pietro can make friends with these girls, their blessings may carry over to him and his farm, granting untold benefits to him on his adventure. Speak often with these divine maidens – present them with gifts and listen when they need a friendly ear, and you too can share in Lady Galariel's bounty! 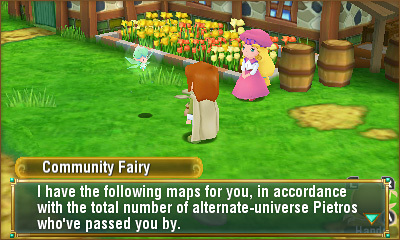 Speak with the Community Fairy on your farm to enable StreetPass functionality, allowing you to collect treasure maps from passers-by that lead to valuable consumables and other buried booty. The only thing more precious than treasure, after all, is sharing that treasure with others!